What have 4 Brand Execs already learned? Brand execs can’t learn fast enough about building and maintaining presence in the social media world. Build community and brand presence will follow. If that means blogs and tweets, so be it. Listen and learn from these candid comments. 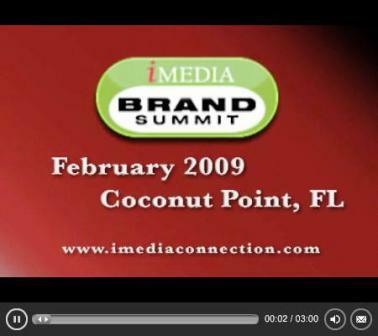 Did you get to attend this major iMedia event? Please post your own comments here. What’s your advice on social media marketing for brands? What action steps do you plan to take in 2009?